Eggs are one of the easiest meals to prepare. They do not require a lot of time preparing. They are also a rich source of protein and omega 3 fats. However, eggs have currently raised controversial debates among researchers. According to previous studies, a conclusion was made that eggs did not affect blood cholesterol. The studies recommended incorporating eggs in our diets, although in moderated quantities. Although the previous findings encouraged us to take eggs, the recent findings seem hesitant. 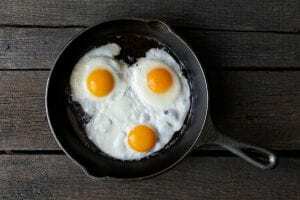 According to research published in the Journal of American Medical Association (JAMA), eggs were found to be contributing to increased risks of having heart attacks and early deaths. According to the study in JAMA, each intake of half an egg increases the risk of cardiovascular disease and death by 6% and 8% respectively. 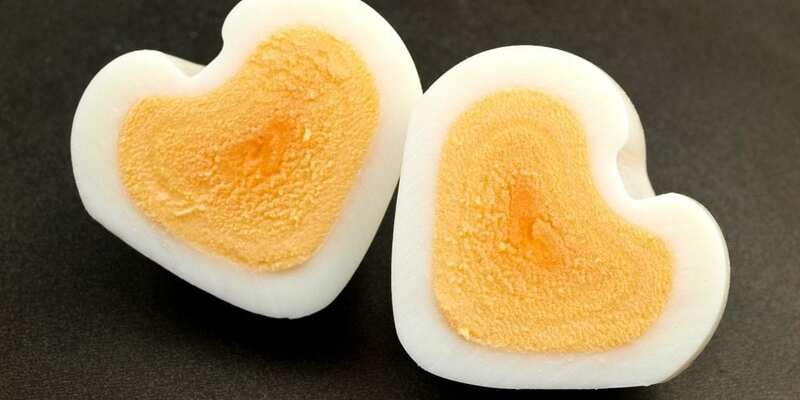 As opposed to other studies, this study found that eggs contain low-density lipoproteins (LDL). It is the bad type of cholesterol that is associated with heart attacks. Therefore, once you eat more eggs than the recommended quantity, this cholesterol increases in your blood. As a result, it causes hardening of arteries by forming fat deposits around them. When the deposits surround these blood vessels, they are unable to pump blood properly. Thus, in any case, when blood flows in plenty due to excitement or sudden worry, you will suffer from cardiac arrest. In order to remain fit, it is essential for us to understand the number of eggs we should take. Although some people think egg yolk as the dangerous part of the egg, the study shows that it is the most nutritious. According to researchers from the University of Northwestern, you should take 3 to 4 eggs in a week. The number allows the body to use up the eggs consumed and prevent accumulation of excess fats. According to these researchers, eggs contain a significant amount of cholesterol. The quantity is a lot and explains why eggs increase the risks of heart attacks. However, these recommendations contradict with the US guidelines for nutrition. Thus, more studies need to be carried out and come up with a comprehensive report about eggs. You will probably find it hard to stop consuming more eggs than required. It is even trickier when you are short of meal options. Controlling how you take eggs is not impossible. You can choose to skip one egg meal at a time. It will help you get used to it as you adjust to the change. Also, you can draw a meal plan for a whole week, and make sure you decrease the number of times you take eggs. Narrow them down to make sure they do not exceed the required amount. Make sure you substitute your eggs with something delicious to eat, yet nutritious. At first, it may be difficult to adjust to change. If you find it difficult to control how you take eggs, it is time you agree to be helped. You can have your loved ones help you monitor your diet. Let them act as your control tool and make sure you practice a lot of nutritional discipline. It will help you reduce the risk of cardiovascular attacks. Eating too many eggs can make you overweight. Since eggs contain a considerable amount of fat, an excess of it accumulates to form deposits beneath your skin. If you are not careful about controlling the number of eggs you take, the fat keeps depositing. With time, you start realizing you no longer have body curvatures; they have been covered with fat. At this point, you are considered overweight. Being overweight is what contributes to obesity over time. Salmonella typhi is a bacteria that is found in contaminated eggs. 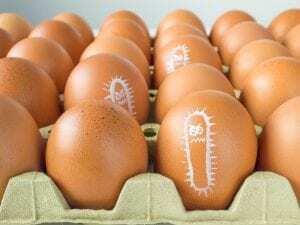 If you are not careful about where you source eggs from, you are likely to be attacked by this bacterium. It causes you to have pain in the body, nausea, fatigue, and fever. To prevent it, always make sure you get your eggs from a reputable supplier. In case of anything, you can trace the source of your eggs and have them tested. A follow up can then be made and appropriate treatment can be given. Consuming too many eggs can make you have some skin rashes. The rashes are always itchy and uncomfortable. Other people may get boils which are painful to have. If these symptoms prevail, it is time you minimize your egg intake. Due to the itchiness of these rashes, you may find yourself having to deal with wounds from scratching. Heart attack is one we should avoid at all costs. We should always prevent it from occurring by keeping ourselves healthy. Thus, we are responsible for what we eat. Minimizing the intake of eggs is one way of reducing such risks. It should not be a thing we are forced to do since it is for our good. In addition to eating healthy, we should also make sure we carry out physical exercises on a regular basis. It helps in burning the fats, creating no room for us to become overweight.